I failed with the A to Z Challenge, and life goes on. I took the week off from my blogs because my eyes have been hurting so much, but I will be back this week. Back to my normal schedule. Back to normal blogging. Yay! I don't think I will try the A to Z Challenge again. I always have a problem with my allergies and fall behind. And I know a lot of people schedule all their posts ahead of time, but part of the challenge for me is that I try to post every day. Scheduling my posts would defeat the purpose of the challenge, right? Yep, never doing the A to Z Challenge again. I need to be successful at something for a while. I finally got around to reading Fahrenheit 451. I just finished Fahrenheit 451 and now I am reading The Interior Circuit by Francisco Goldman. The challenge is over. I have failed. I will not try to complete the challenge this year. I took this week off from blogging. I will start back up this week. My allergies made this difficult this week. I did not write at all, although I am finally feeling inspired. I am continuing the #100DayProject on Instagram which is helping me to be creative. We all have bad weeks (and allergies can just add misery on top of bad without so much as asking what we think about things). You've started again, and that's the important part. I have a similar issue with the A-to-Z challenge myself. I also feel it should be a post a day. And probably, if I planned out my posts (maybe do a photo one day, a snippet of some poetry or a quote of some kind another day, etc., I might be able to pull it off... but I haven't found myself able to get there yet). Maybe someday you'll change your mind, maybe you won't. The point is that you've learned something about yourself and how you work so you can (hopefully) feel more productive in the future. Thank you. It feels good when someone can relate and understand where I am coming from. I really do enjoy the A to Z challenge. I just think I need a break from it for a while. Don't look on it as failure. Sometimes the challenge is just not right for you, or at a bad time. I've had that happen many a time. I try to get what I can out of it and try something else. Last year I missed a whole week and then just finished way late -for my own satisfaction. 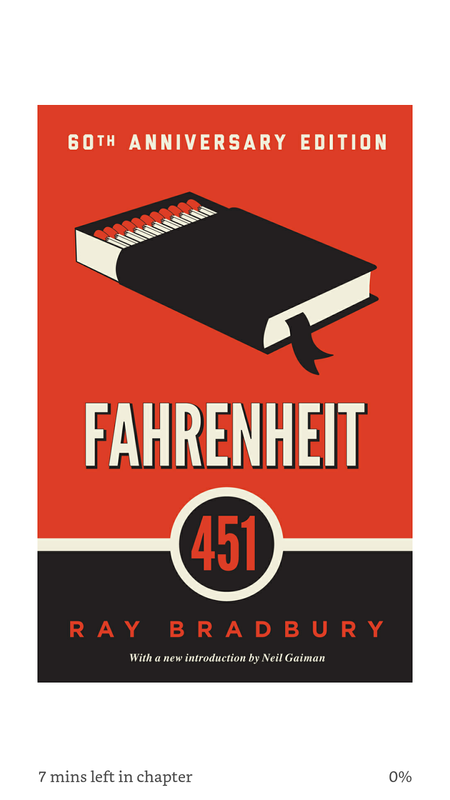 Love Fahrenheit 451 - will have to check out the other book you're reading. Sounds like allergies are really a pain - when mine are bad I just want to hibernate.I'm trying to get back to writing daily after a looong drought. All the best in the week ahead.